When healthy, an abundant supply of qi (vital energy) or 'life energy' flows through the body's meridians (a network of invisible channels through the body). If the flow of qi in the meridians becomes blocked or there is an inadequate supply of qi, then the body fails to maintain harmony, balance and order, and disease or illness follows. This can result from stress, overwork, poor diet, disease pathogens, weather and environmental conditions, and other lifestyle factors and becomes evident to experienced practitioners through observable signs of bodily dysfunction. Practitioners look carefully for these signs of health and dysfunction, paying particular attention not only to the presenting signs and symptoms, but also to the medical history, general constitution, and the pulse and tongue. Neurological conditions such as headaches, migraines, difficulty sleeping, nervous tension, stroke, some forms of deafness, facial and inter-costal neuralgia, trigeminal neuralgia, some forms of paralysis, squeal of poliomyelitis, peripheral neuropathy, noises in the ears, dizziness, and Meier’s disease. Digestive system disorders such as toothache, post-extraction pain, gingivitis, mouth ulcers, hiccough, spasms of the esophagus, gastric and duodenal ulcers, gastric hyperacidity, gastritis, heartburn, hiatus hernia syndrome, flatulence, paralytic illus., colitis, diarrhea, constipation, hemorrhoids, liver and gall bladder disorders, and weight control. Gynecological and obstetric disorders such as premenstrual tension, painful, heavy or irregular, or the absence of periods, abnormal uterine bleeding or discharge, hormonal disturbances, disorders associated with menopause, prolapsed of the uterus or bladder, difficulty with conception, and morning sickness. Skin conditions such as eczema, dermatitis, psoriasis, nerve rash, herpes zoster, acne, and scar tissue. Sporting injuries such as sprained ankles and knees, cartilage problems, tearing of muscles, torn ligaments and bruises. * The disorders above which appear in bold have been recognized by the World Health Organization (December 1979) as having been successfully treated by acupuncture. The disorders which do not appear in bold above are other common disorders which have been found to respond well to acupuncture. Chinese herbal medicine takes a holistic approach to understanding normal function and disease processes and focuses as much on the prevention of illness as on the treatment. Most diseases or illnesses present with a core set of recognizable signs and symptoms, but the actual presentation of a particular disease or illness will vary from person to person. 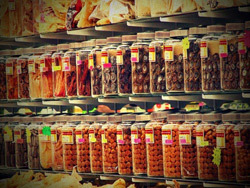 For this reason, people with similar health conditions may be provided with quite different Chinese herbal medicine. Chinese herbal medicines can be prescribed into formulae which take into account the individual therapeutic action of each herb and well as the effects when combined together. There are also many well-known ready-made herbal formulae in pill or liquid form, which have been used for over hundred years for many common illnesses. A well constructed formula maximizes the effectiveness for treating a particular condition, while counteracting and minimizing the unwanted effects of an individual herb. 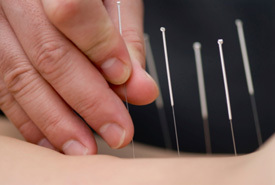 Many aspects of your initial acupuncture treatment resemble a conventional Western visit. A full health history will be taken, along with basic vital signs. The acupuncturist may perform a physical exam. Questions will be asked regarding symptoms, health, and lifestyle. An acupuncturist will also check pulses and look at your tongue, which are two components of the TCM system of diagnosis. The 12 pulse positions on the wrist each correspond to a specific meridian and organ. The tongue is viewed as a map of the body that reflects the general health of the meridians and organs. This information is then used to create a complete and accurate assessment of both the Western diagnosis and the TCM diagnosis of where the qi has become blocked or imbalanced. Based on this diagnosis, the acupuncturist will devise a treatment plan that may include acupuncture, herbs, dietary recommendations, and specific exercises. Wear comfortable, loose fitting clothes so that it is easy for the acupuncturist to locate and needle points on your arms and legs. 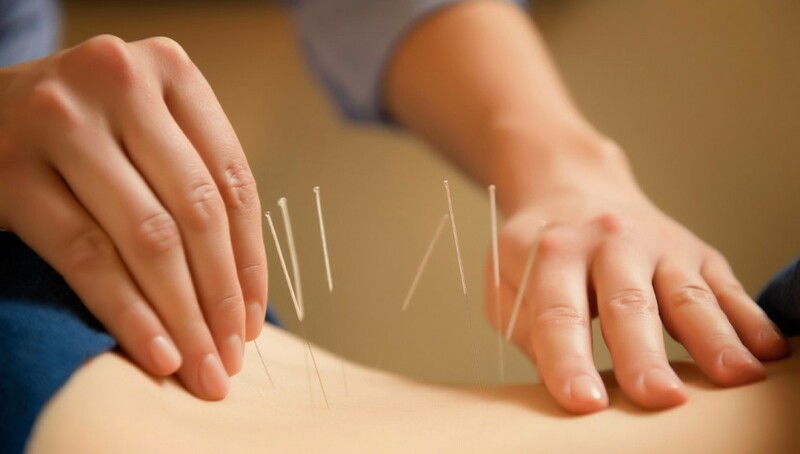 Acupuncture needles are sterile, metallic, solid, and hair-thin. People experience acupuncture differently, but most feel minimal or no pain; as the needles are inserted. You may experience a vague tingling, numbness, or heaviness where the acupuncture needle has been inserted. Sometimes people experience a sensation of energy spreading and moving around the needle. These reactions are a sign that the treatment is working. Generally the needles are retained for 15-30 minutes and then removed. After the treatment, you may feel energized or may experience a deep sense of relaxation and well being.